The New Zealand Masters Games (4-13 February, 2011), a multi sports event, started in Wanganui (1989) and alternates between Wanganui and Dunedin. 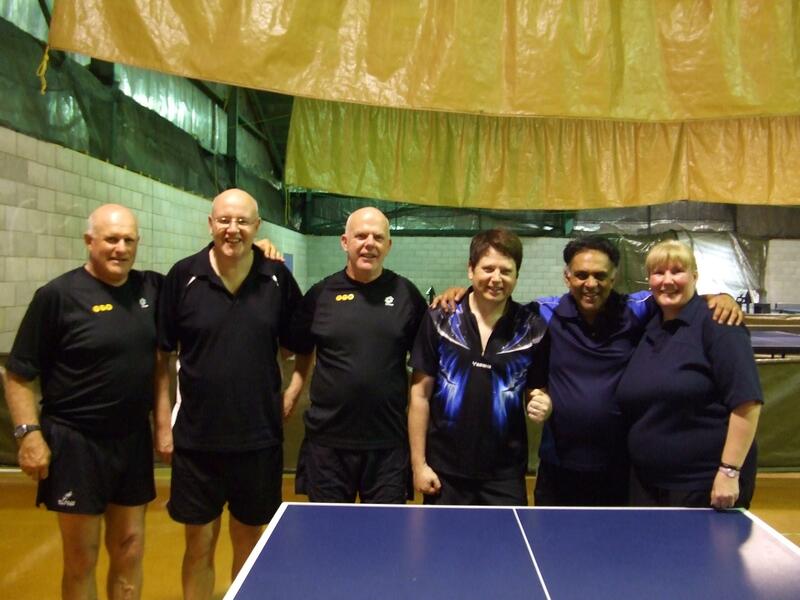 Dave Welch has organised the table tennis from the beginning, which is held at Jubilee Stadium. Dennis Galvin (Waitemata) and Robert Dunn (North Harbour) have been to the table tennis at all the Games in Wanganui. Raewyn Young made a clean sweep of the Over 35 and Over 45 individual events, winning the Women Singles, Women Doubles and Mixed Doubles. Ian Talbot was a member of the winning Over 35, Over 45 and Over 55 teams. He also won the Men’s Doubles in the same age groups. Other Wellington players to win gold medals were Bryan McConnochie (4), Chris Talbot (3), Depak Patel (2) and Graeme Sole (1). In the Over 55 teams, Bryan McConnochie and Ian Talbot retained their title winning all their matches. In the Over 45 teams Chris and Ian Talbot won their fourth consecutive title in a close final 3-2 against Depak Patel/Raewyn Young. In the Over 35 teams, the Talbot brothers and Bryan McConnochie won the final 4-1 against Depak Patel, Raewyn Young and Paul Solt. This was also the Talbot brothers fourth consecutive title. A player collapsed from heat exhaustion in the late afternoon, during the teams event. He went to hospital and was later discharged. This happened despite him drinking plenty of water during the day. It was a reminder that players must listen to what their bodies are telling them. Saturday was the longest day with play finishing at 10.30pm. This was due to allowing people to enter both the Over 35 and Over 55 events. In the Over 35 Men’s Singles final Shane Wilson (Wanganui) beat Ian Talbot 3-0 which was a repeat of the 2005 final. A great 43rd birthday present for Shane, who was the 1993 Wellington Open Men’s Singles winner. Charly Talumepa (Manawatu) won the Over 45 Men’s Singles beating Chris Talbot 3-2. Gerard Lucas (Sri Lanka) retained the Over 55 Men’s Singles 3-2 against Ian Talbot. 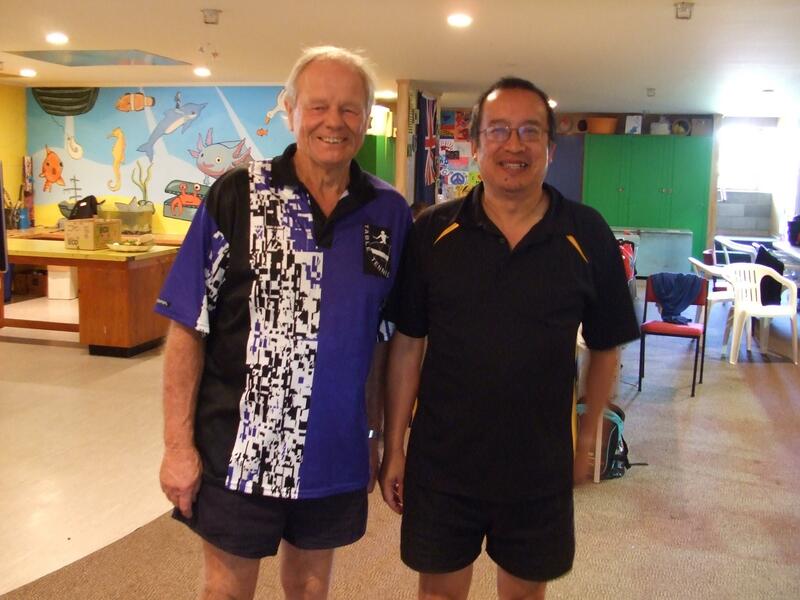 Gerard also won the Over 65 and Over 70 Men’s Singles and won the most gold medals for table tennis (7). Doctor Gerard Lucas, a retired paediatrician, was the former Sri Lanka number 1 (1965) and national team member. He had wins against the visiting Pakistan national champion, the Russian ranked number 2 player and Chinese players. In 1967 he won the All India Men’s Doubles, with P V Gopalakrishnan. At the World Masters Games in Edmonton, Canada (2005) he won the Silver medal in the Over 55 Men’s Doubles. The Women Singles was won by Raewyn Young (Over 35 and Over 45), Val Scarr (Over 55 and Over 65) and Annice Robottom (Over 70). A certain international umpire was 65 on Sunday. She will be umpiring at the World Championships held in May, in the Dutch city of Rotterdam. Results are on the NZ Masters Games site.